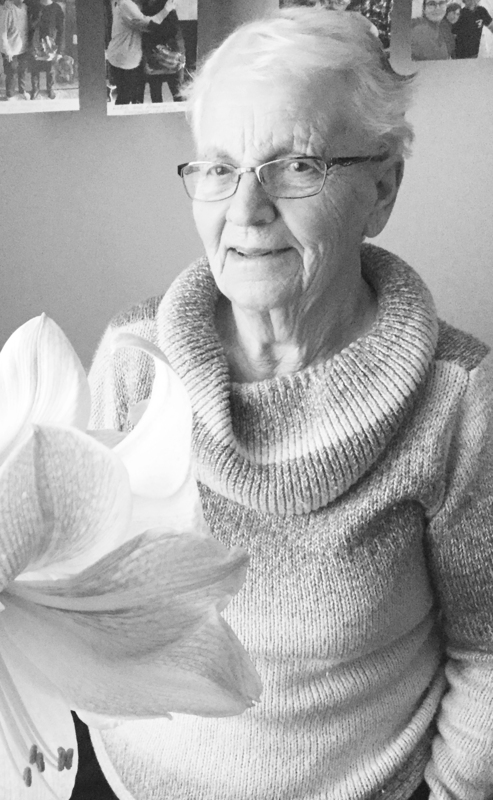 Following a lengthy battle with cancer, Lottie Margaret Daughton (age 87) passed away at Raymond Health Center on March 06, 2019. She is pre-deceased by her older brother Arthur Jeffs (infant), her younger brother William Jeffs and her husband Charles Robert Daughton. She is survived by her sister Irene (Ray) Neurauter of Spiritwood, SK her brother Henry (June) Jeffs of Prince Albert, SK; her daughter Irene (Neil) Graves of Mortlach, SK and her sons Donald (Julia) Daughton of Raymond, AB and Robert (Lora) Daughton of Balfour, BC. She is also survived by 7 grandchildren — Gary Graves, David Graves, Jolene (Ivan) Bergerman, Tawnia Daughton, Mandy Daughton, Tiffany Daughton, and Shelby Daughton; and by 7 great grandchildren as well as numerous nieces and nephews. An open house/viewing will be held March 14, 2019 from 7:00 – 8:30 PM at the Taylor Street Chapel of the Church of Jesus Christ of Latter-Day Saints, 221 N 400 W, Raymond Alberta. A Graveside service will be held at a later date at the Mortlach, SK cemetery, next to her beloved husband Charles Robert Daughton. The family would like to publicly thank all those dedicated health-care workers for making Lottie’s hospital stay as comfortable as possible. We would also like to thank her (and our) many friends for their selfless acts of kindness during this difficult period in her life and in ours. She was a wonderful aunt and will be missed.